Online auction giant eBay looks to have found a way to escape its unhappy marriage with Skype, announcing plans to spin the internet telephony champion off in an IPO (Initial Public Offering). This week, eBay announced that it plans to separate Skype from the parent company via an IPO in the first half of 2010. When Donahoe took the helm at eBay in April 2008, he said the company would spend a year evaluating Skype and its potential within the eBay portfolio. In late 2007, Niklas Zennstrom, co founder of Skype, stepped down as CEO of the company, just as eBay wrote down the value of the Skype acquisition, admitting that it paid almost $1bn too much for the company in 2005, when it shelled out $2.6bn. 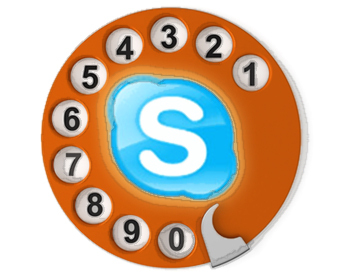 In 2008, Skype generated revenues of $551m, up 44 per cent from 2007. Registered users reached 405 million by the end of 2008, up 47 per cent from 2007, and the company recently announced that it expects Skype to top $1bn in revenue in 2011. In other news, Skype said that 1 million people downloaded Skype for iPhone in the first 36 hours after it became available in the App Store. In just over a week, downloads passed the 2 million mark, putting Skype on more than 6 per cent of all iPhones and iPod Touch devices, and adding almost half a million new Skype users.